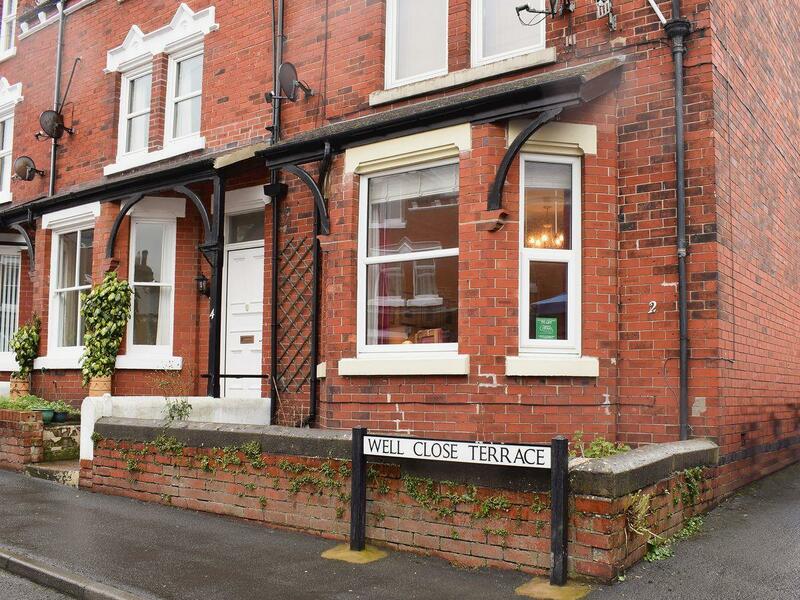 Great self catering apartment in central Whitby. 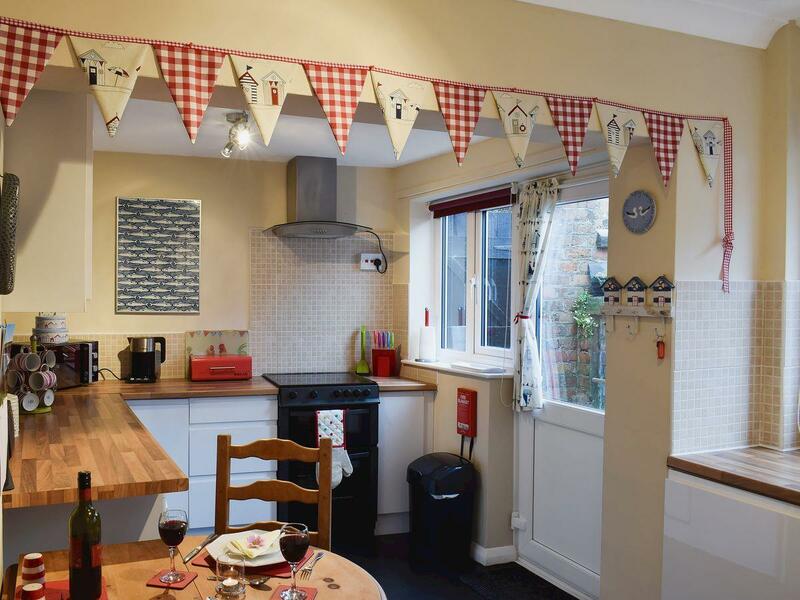 Robin's Rest is a spacious ground floor self-catering apartment and has been decorated to a good standard, with a mixture of traditional and contemporary features throughout. It provides the perfect base for exploring some of Whitby’s highlights, including the historic abbey, marina and 3 miles of golden beach. Take an open top tour bus around town or a stroll amongst the cobbled streets, or even a pleasure cruise out to sea for a perfect view of this part of the Heritage Coast. Kitchen/dining room: with electric cooker and fridge. Electric central heating, electricity, bed linen, towels and Wi-Fi included. Small courtyard with sitting-out area and garden furniture. Parking permit for 1 car included. 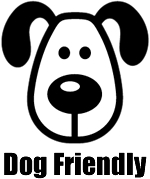 Pet friendly: for one dog. Had a lovely Christmas break. The apartment is spacious. Great location and everything here for a...	View More..
Had a lovely Christmas break. The apartment is spacious. Great location and everything here for a great holiday - a home from home. Great New Year trip away with family. The apartment is lovely. Thank you. Just like home. Very comfy stay. Love to stay again. 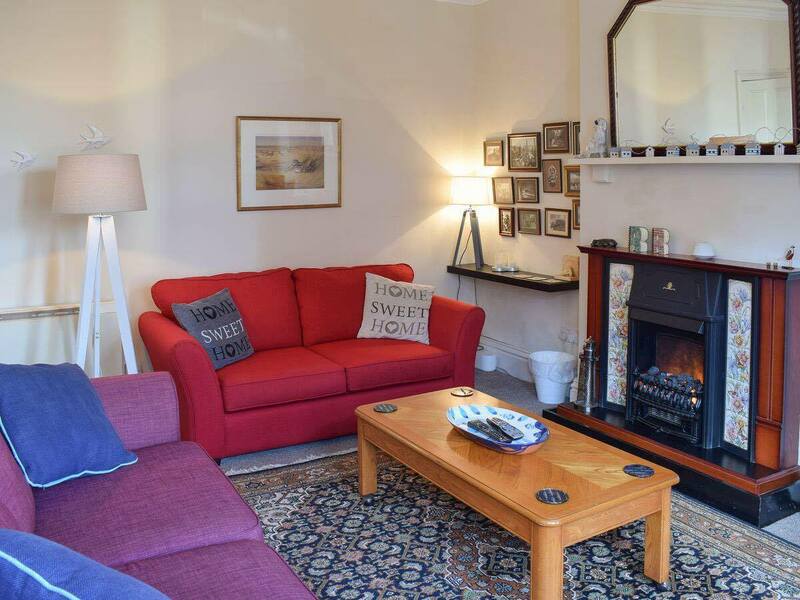 Very well equipped apartment and excellent location to walk the Cleveland Way to Sandsend. Can...	View More.. Very well equipped apartment and excellent location to walk the Cleveland Way to Sandsend. Can recommend Sandsend cafe and Robin Hoods Bay. Lovely apartment. Exceptionally well equipped (especially the dog provisions - very nice touch)....	View More..
Lovely apartment. Exceptionally well equipped (especially the dog provisions - very nice touch). Very warm and cosy. Had a lovely week and will be back. Very clean, very cosy, very well equipped. Lovely stay home from home. Will be back. Lovely large flat, great location. Walked to Robin Hood's Bay along coastal path 6 miles then...	View More..
Lovely large flat, great location. Walked to Robin Hood's Bay along coastal path 6 miles then caught the bus back. Lovely walk. Had a really lovely weekend. Found some great places to eat. The humble pie and mash definitely...	View More..
Had a really lovely weekend. Found some great places to eat. The humble pie and mash definitely recommended. Will be back. Have had a lovely break, the apartment was lovely and we had everything we needed in lovely...	View More..
Have had a lovely break, the apartment was lovely and we had everything we needed in lovely location. Thank yo for he welcome pack and the boys loved the park you recommended. Will come back. We had a lovely stay thank you it's clear that you have put of love and effort into the apartment. Had a lovely weekend apartment lovely and clean with everything you need would highly recommend it...	View More..
Had a lovely weekend apartment lovely and clean with everything you need would highly recommend it and stay again. Our 1st stay at robins rest it won't be the last. The apartment is perfect so clean warm and comfy....	View More..
Our 1st stay at robins rest it won't be the last. The apartment is perfect so clean warm and comfy. All the little touches make it so welcoming for humans and our dog. We've been visiting Whitby for many years and robins rest is a perfect place to stay. Many thanks, keep up the excellent work we hope to be back very soon. What a joy robins rest is superb location handy for everything. Spotlessly clean and top quality...	View More..
What a joy robins rest is superb location handy for everything. Spotlessly clean and top quality appliances made for a great stay warm and comfortable. Will be back sometime dog loved the Beach and the walks. And we all appreciated the welcome pack. Lovely apartment very very nice spotlessly clean well done will be back and recommended to everyone...	View More..
Lovely apartment very very nice spotlessly clean well done will be back and recommended to everyone and thank you for the welcome pack. Had a great week What a place ! Felt really at home nice comfy bed really great appliances warm and...	View More..
Had a great week What a place ! Felt really at home nice comfy bed really great appliances warm and cosy. I've got to say it's the first place I've stayed in the last 20 years of coming to Whitby free welcome gifts including milk?. Great you have done what others should! Thank you . Wonderful break so comfortable all you want and more weather was kind to us will recommend and be...	View More.. Wonderful break so comfortable all you want and more weather was kind to us will recommend and be back. We had a lovely stay in Whitby thank you for the welcome pack we felt at home as soon as we walked...	View More..
We had a lovely stay in Whitby thank you for the welcome pack we felt at home as soon as we walked through the door we will definitely be back tail wags from Bessie for the doggie biscuits. Wow what a fantastic place we found this very warm cosy and home from home had a lovely stay and...	View More..
Lovely accommodation very central and a cosy retreat after all the walking great attention to...	View More..
Lovely accommodation very central and a cosy retreat after all the walking great attention to detail hope we can return. We can only re-iterate what’s already been said our second stay and RR didn’t let us down...	View More..
We can only re-iterate what’s already been said our second stay and RR didn’t let us down it’s been very cold weather and the electric blanket was a god send. 5 days not long enough everything was immaculate. Welcome gifts...	View More.. Thank you hope to return for longer. Our second stay here we loved it so much thank you ford for the welcome pack and Easter bunnies...	View More..
Our second stay here we loved it so much thank you ford for the welcome pack and Easter bunnies chocolate’s will be back. Our first stay here and we were very impressed really nice welcome pack. A very cosy robins rest...	View More..
Our first stay here and we were very impressed really nice welcome pack. A very cosy robins rest which was perfect for our Easter stay. Even the dogs liked it thank you. Fantastic second stay hospitality is amazing love staying at this homely place love Whitby. We had a brilliant holiday lovely very well equipped apartment . My youngest son loved sleeping on...	View More..
We had a brilliant holiday lovely very well equipped apartment . My youngest son loved sleeping on the sofa bed thank you. Lovely place well equipped thank you for the welcome goodies be back soon. Everything needed for a great base some excellent. Little touches to make it feel like home...	View More..
Everything needed for a great base some excellent. Little touches to make it feel like home recommend Robins rest to everyone and only a short walk into town brilliant. Ready to book your stay at Robin's Rest? Looking for something bigger? See Valentines - our 4 star self catering holiday home in Whitby sleeps 6.